We offer highly durable Wheel Alignment Machine used for providing proper alignment to the wheels. Our Wheel Alignment Machine is made using state-of-the-art technology that ensures better maintenance of the vehicle. Our range of Wheel Alignment Machine includes Wheel Alignment Machine HWA-50 3D and Wheel Alignment Machine HWA-960. Wheel Alignment Machine, offered by us, is widely appreciated for easy operation and smooth performance. Our state-of-the-art Automotive Wheel Alignment Machine with Bluetooth technology is based on RF technology. 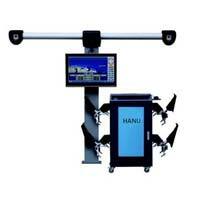 Our highly efficient Wheel Alignment Machine HWA-960 is appreciated for highly accurate and hassle-free performance. Our Wheel Alignment Machine HWA-960 is blue tooth machine that communicates through RF technology. 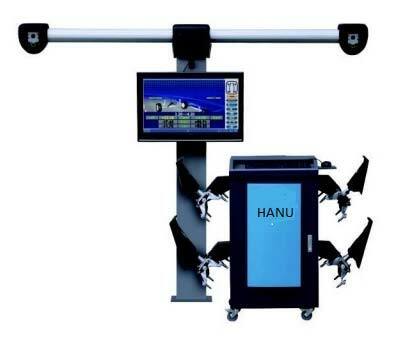 The Wheel Alignment Machine HWA-960, we offer, has four measuring heads with front and rear wheel alignment.